We know it can be difficult to judge the right time to get any dental procedure. It’s something that lots of people worry about, but it’s nothing to be ashamed of – that’s why we’re here! When it comes to dentures especially, most people naturally want to avoid getting them before they absolutely have to. 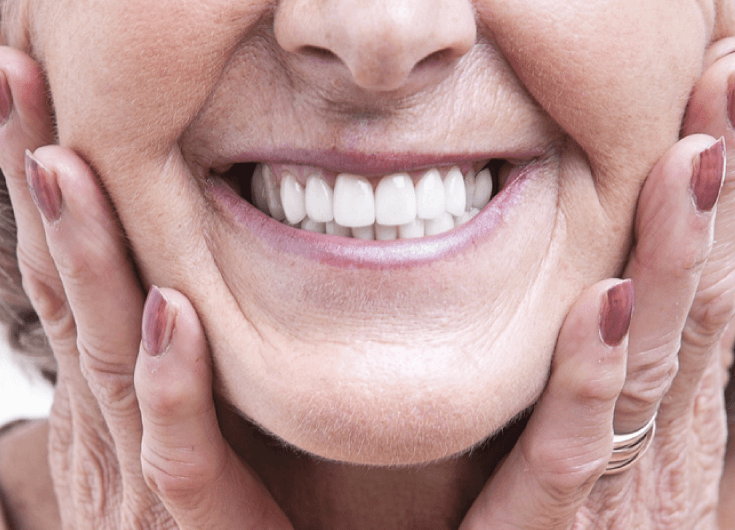 Here are five ways to know when you may need dentures – and what you can do to look after your teeth in the meantime. Bleeding or tender gums can be an early symptom of a number of conditions. As you might imagine, none of them are terribly positive! The most common one is gingivitis, otherwise known as the early stage of gum disease. Left unchecked this can develop into the even more serious periodontal disease, which is where permanent damage can start to occur in your teeth. This type of gum disease is one of the leading causes of tooth loss in British adults. 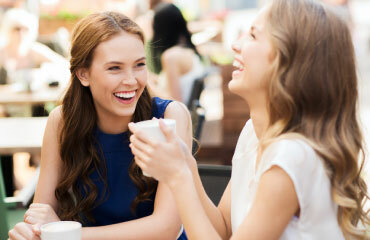 Now, the good news is that bleeding gums aren’t necessarily a prelude to tooth loss and dentures. However, it’s hugely important that you visit your dentist promptly, so that they can assess the problem and take quick corrective measures. If your gums are bleeding profusely, you may want to schedule an emergency appointment. Like bleeding gums, toothache can be a symptom of a number of conditions. For example, it could be damaged after an impact, or it could be a sign of a crooked wisdom tooth, which might necessitate an implant. However, sometimes a toothache is your body’s way of telling you that the decay from gum disease is gradually spreading further. Your teeth may be even be slowly shifting position inside your mouth, which has the potential to be incredibly painful. Even if the pain isn’t that serious at the moment, you should still make an appointment to see your dentist. This is all the more true if it’s recurring! You might be surprised at the rate at which gum disease can progress, so make it a top priority to have a professional take a look. This might not sound like it has anything to do with your teeth, but even your stomach can give you useful warning signs. When you’re eating, if you’re suffering from low-key tooth pain you might be unconsciously not chewing as much as you’re supposed to. This in turn can mean problems for your stomach once your food makes it down there in larger pieces than usual. Of course, we’re not suggesting that a stomach-ache on its own is a sign that you might need dentures. However, watch our to see if you’re experiencing it with any of the other symptoms above. If you are – you know where this is going – make an appointment to see your dentist. Better safe than sorry! In the meantime, try to make an effort to chew your food as much as you physically can without it becoming painful, which should make it easier for you while you wait to see them. Similar to our stomach-ache symptom above, you may find it’s physically difficult for you to eat foods like apples, nuts or hard candies. If so, it’s especially important to try and recall how long ago this pain started, which could be useful information for your dentist to help pinpoint the cause. It might be caused by a cracked tooth, or even missing teeth entirely. Or, again, the culprit may be the early stages of gum disease. Well, this is a little obvious, but first off: stop eating them! There’s no point battling through food you’re not able to enjoy properly. Substitute them as much as you can for soft foods while you book an appointment. Admittedly, this is unlike some of the other entries on our list in that it’s quite difficult to miss. If you’re missing a few teeth, you’ll likely know about it! There are many dental experts who think that people who have lost several teeth – for example, more than two or three – should seek some form of prosthesis. Your mouth works hard in your day to day life, perhaps more so than you realise. When there are fewer teeth in your mouth, it puts slightly more pressure on the remaining ones to bite, grind and chew. That means there’s a greater chance of losing more. Discuss your options with your dentist, and try and take it easy on your mouth in the meantime. That means cut down on the hard or stickiest foods, and don’t remove any labels with your teeth – at least not for the time being! Once you’re sat down in front of a dental expert – just like one of us here at AP Smilecare – we’ll be able to assess your needs in greater detail, which puts us in an excellent position to recommend the right treatment for you. Your dental health is our top priority here at AP Smilecare! As well as our high-quality dentures, we offer our patients a range of core treatments, all designed to keep your teeth happy and healthy. Why not pop into our dental clinic in Blackburn, or give us a call on 01254 297 000, and see what we can do for you?